Munich - may have only joined FC Bayern München in the summer, but the 21-year-old has already secured himself a regular slot in Pep Guadiola’s starting XI. The recently-minted Spain international cut his teeth in the game at hometown club FC Valencia, where he made the left-back position his own following Jordi Alba’s departure for FC Barcelona in 2012. His consistently strong performances there caught Guardiola’s eye and paved the way more a move to Munich. 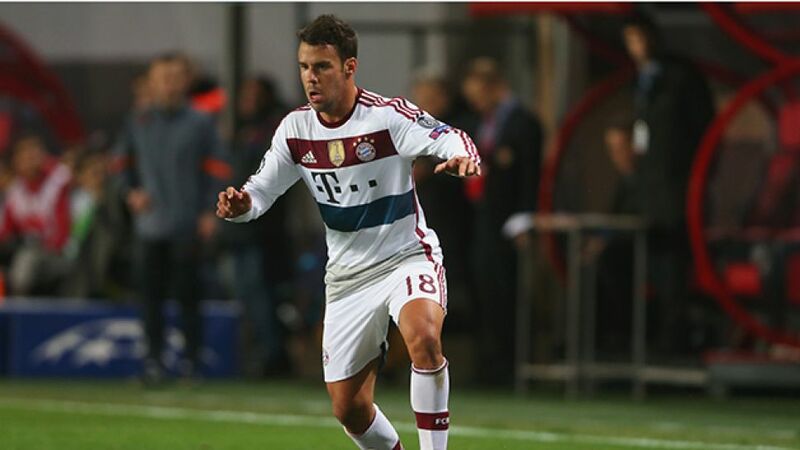 “I’ve worked hard over the last few years to get a chance like this,” Bernat told bundesliga.com recently. Nevertheless, it was a tough step to leave the club he had been with since he was six. “It was a difficult situation because it was the first time I’d ever left home,” Bernat admitted, even if he has been warmly welcomed by his team-mates and the club’s coaching staff - and by Guardiola in particular. The Catalan tactician put his faith in Bernat right from the off, fielding him in each of the club’s competitive matches this season, and starting the youngster in five of Bayern’s seven Bundesliga encounters to date. Alongside David Alaba, the duo have formed a solid partnership on the left wing, alternating attacking and defensive duties. So well in fact, that Spain coach Vicente Del Bosque called him up to the national team for the country’s UEFA EURO 2016 qualifiers at the start of October, and he even scored in a 4-0 victory over Luxembourg. “I congratulated him on being selected,” Guardiola said. “Being called up to the national team for the first time aged just 21 is fantastic for him, for his family and for Bayern.” Given the rate Bernat has developed in his short time as a professional so far, his future looks very bright indeed.